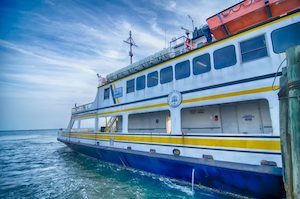 The well-known tourism centers of Hatteras NC and Ocracoke islands are home to about 5,200 year-round residents. They work and live with the same daily challenges other North Carolina residents face, including exposure to hazards caused by others’ negligence and recklessness. Our law firm has more than 20 years providing legal representation to clients injured in negligence cases. The NC Accident Laws are relatively complicated and at times confusing. That, in part, is due to how accident cases are presented in court and the legal defenses insurance companies are afforded. North Carolina is one of the few court systems left in the United States that recognizes the legal defense of contributory negligence. Unlike the majority of the country, personal injury cases in North Carolina are not subject to a comparative negligence or apportionment of legal responsibility or liability in vehicle accident cases. That means in addition to proving the “causation of the accident,” experienced Plaintiff’s Lawyers must anticipate a counter-claim for “contrib” or contributory negligence in North Carolina. The contributory negligence laws in North Carolina are incredibly unfair and regularly result in un-just results. Even if the tortfeasor (the person primarily responsible for the accident) is determined to be 99% negligent, the NC accident laws prevent any form of recovery for money damages, lost wages, or compensation for personal injuries. 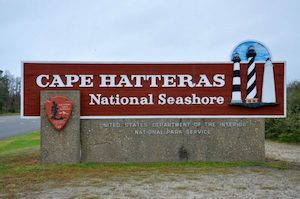 Because of that, accident injury attorneys in Hatteras NC must carefully consider case-selection and what matters to undertake for legal representation in Dare County NC. Plaintiffs lawyers are paid a percentage of the settlement or recovery after judgment or verdict. What are Damages in Accident Injury Cases? That is part of what legal professionals refer to as Contingency Fees or a Contingent Fee legal representation. The legal fees are contingent upon success in obtaining money damages for accident claims. The client is ultimately responsible for the costs of litigation. If you have questions about legal fees for accident cases, please call our law office now: (252) 299-5300. Attorney Danny Glover Jr. serve clients who have sustained significant losses due to auto accidents (car, truck, motorcycle) or crashes involving pedestrians. The attorneys and their experienced legal team also handle cases involving abuse or neglect of nursing home residents, motorcycle accidents, dog bite injuries and other incidents of catastrophic personal injury or wrongful death. Glover Law Firm has obtained some of the largest insurance settlements and court awards in northeastern North Carolina history. Our goal is to help our clients to put their lives back together. Our goal as personal injury attorney at Glover Law Firm is to maximize the compensation you receive when you have been injured through no fault of your own. If you have been harmed in an accident or have lost a loved one in Hatteras, Buxton, Ocracoke or elsewhere on North Carolina’s Outer Banks, contact us today for a free review of your case and to learn more about the legal options available to you. We work on a contingency fee basis. This means that you are not charged a fee unless we recover compensation for your losses. Call today or submit our online form to start work on your case today.